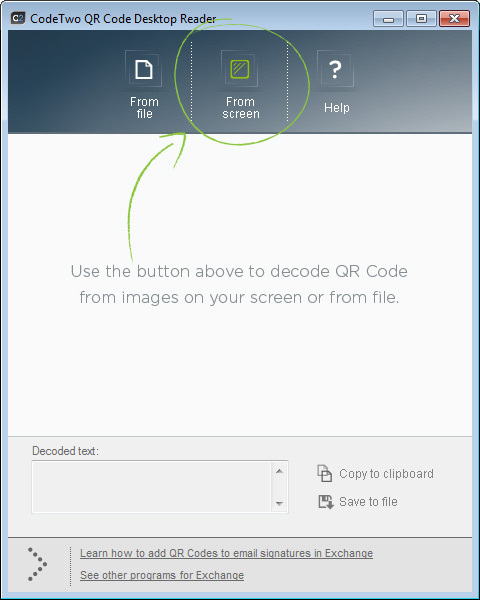 Here is a new tool called QR Code Desktop Reader. This tool help us to read QR code from pc itself. Now you can simply copy decoded text to clipboard or save it to a file. ← Play multiplayer games without the LAN cables, Ethernet-HUBS??? I was searching for a app like this a long time. Thanks!! Do you know if anything similar is available for Mac OS X?